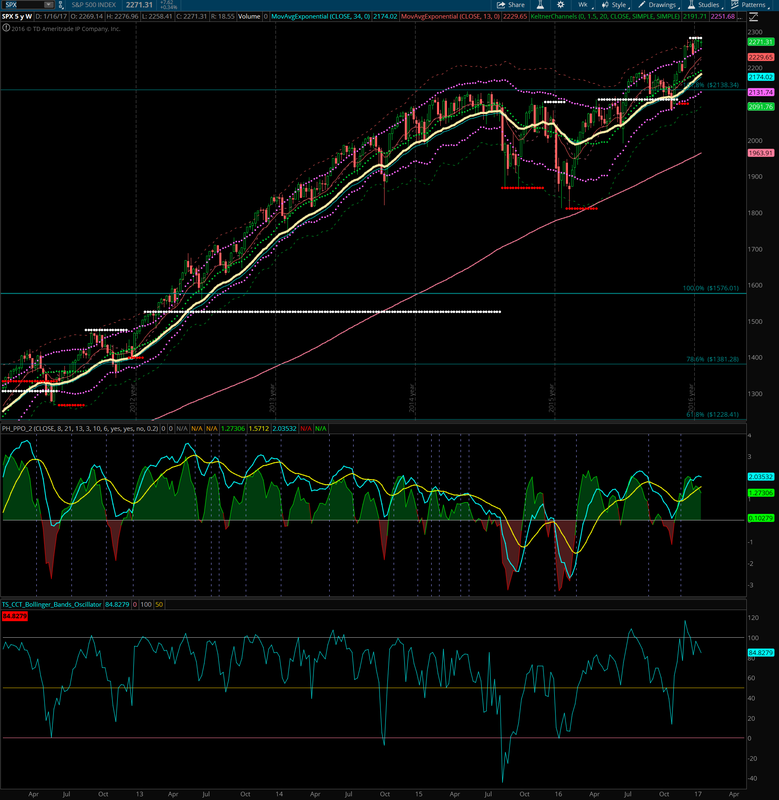 The S&P 500 monthly closed above the upper Keltner line. 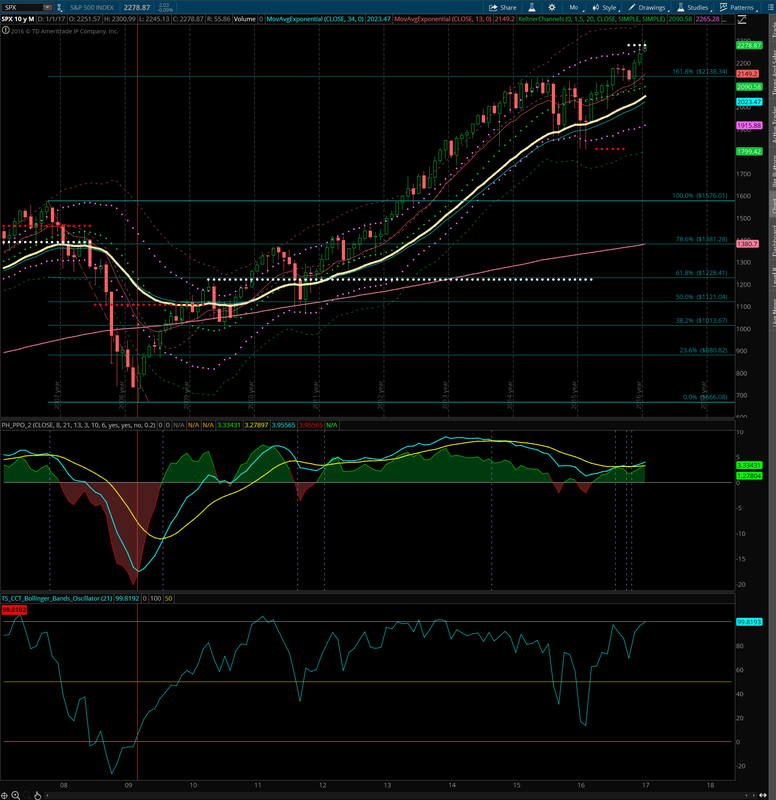 The S&P 500 weekly is showing another close above the Keltner line. 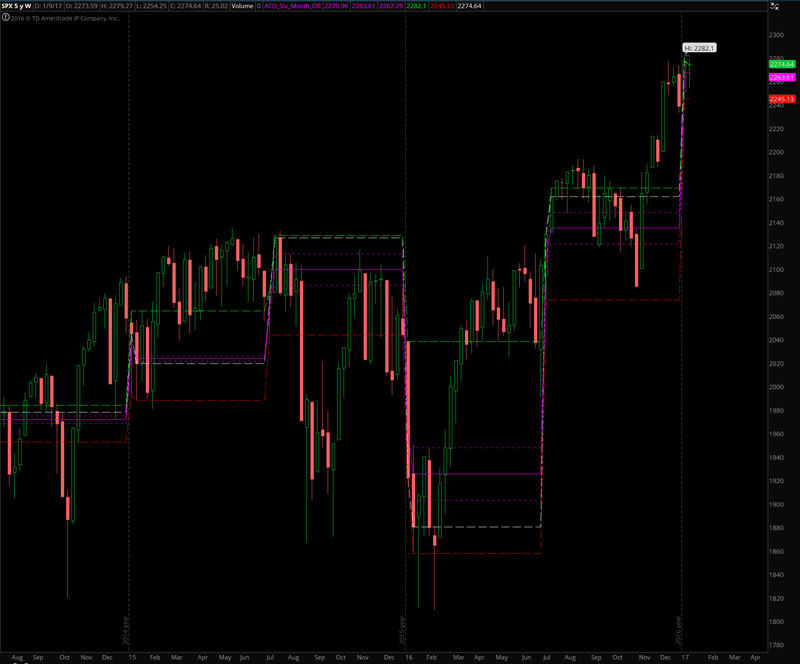 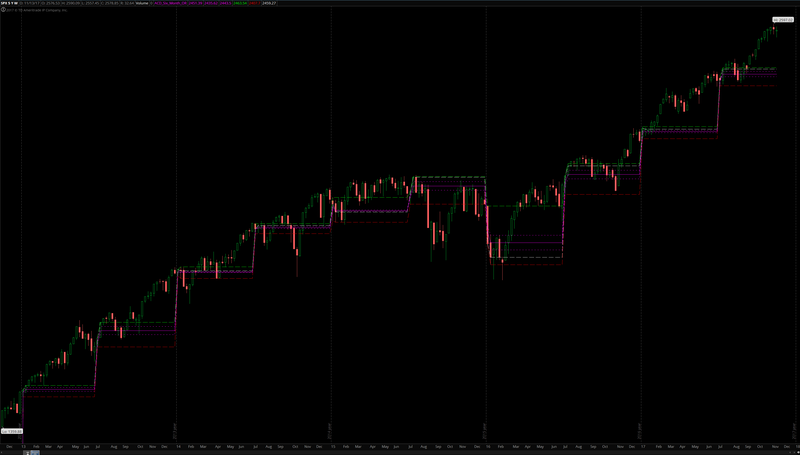 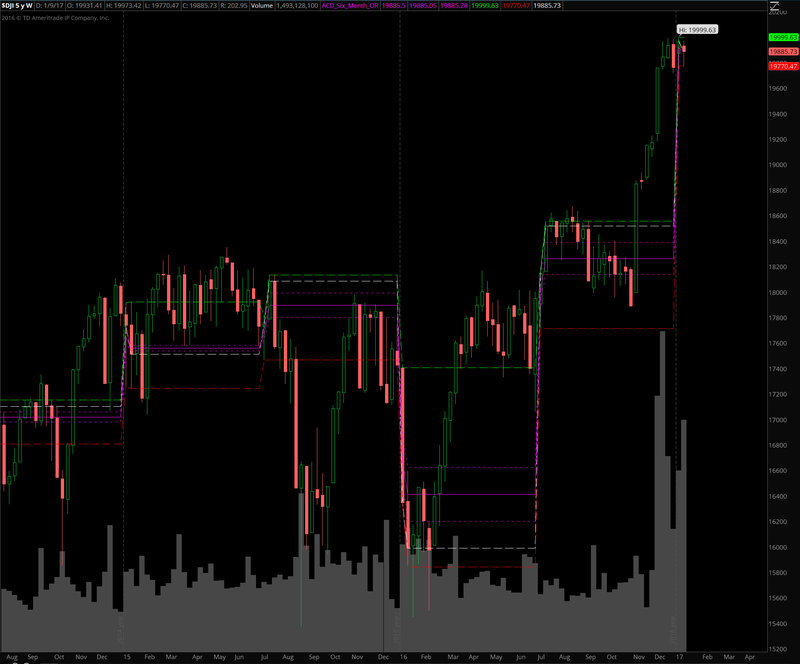 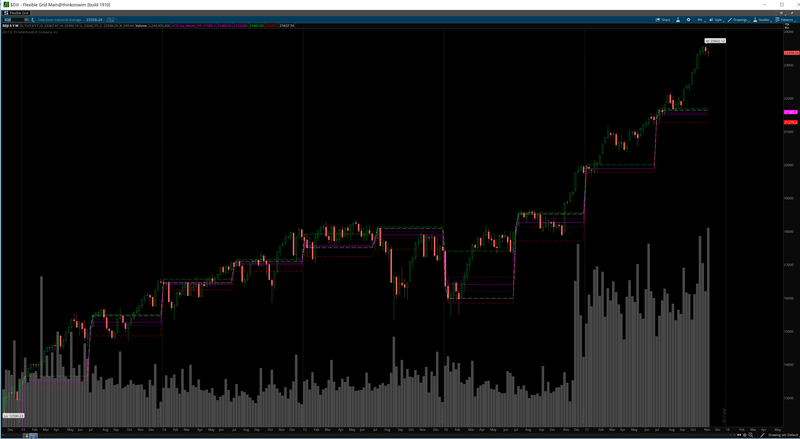 However, the market has stalled at these levels. 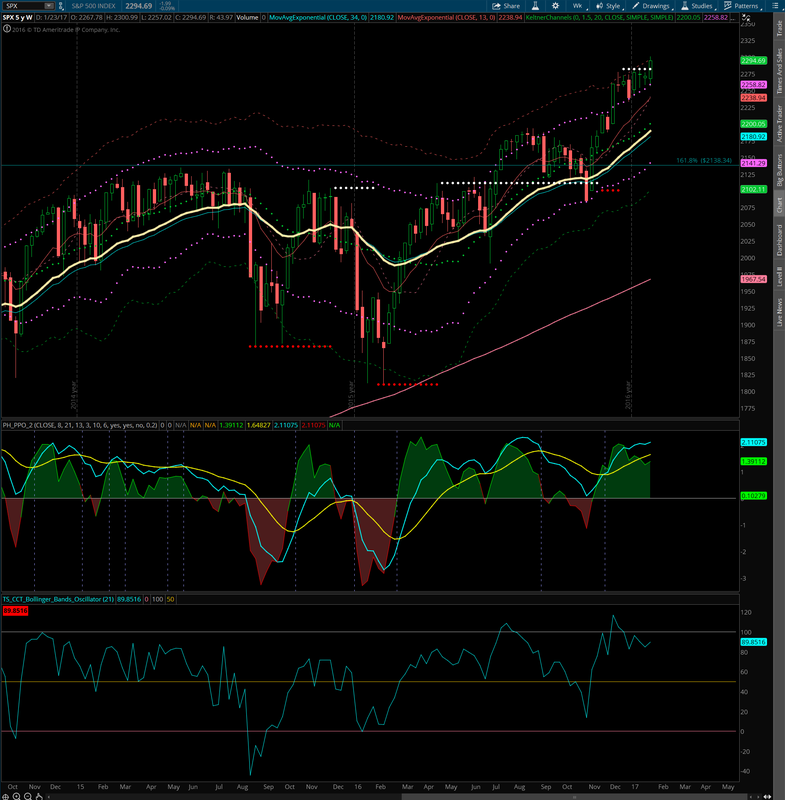 Resistance is near 2281.